Happy Saturday, all! I don’t usually post on Saturdays but today is special! 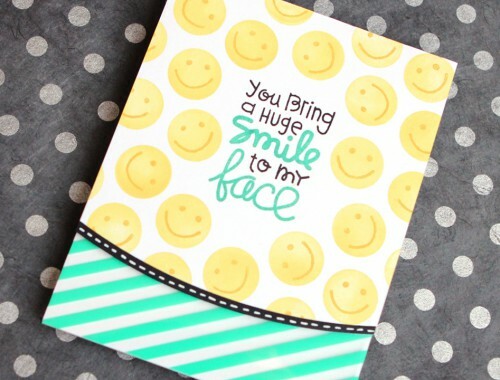 This post is part of a blog hop for Simon Says Stamp’s Diecember release. You can see the entire release HERE. 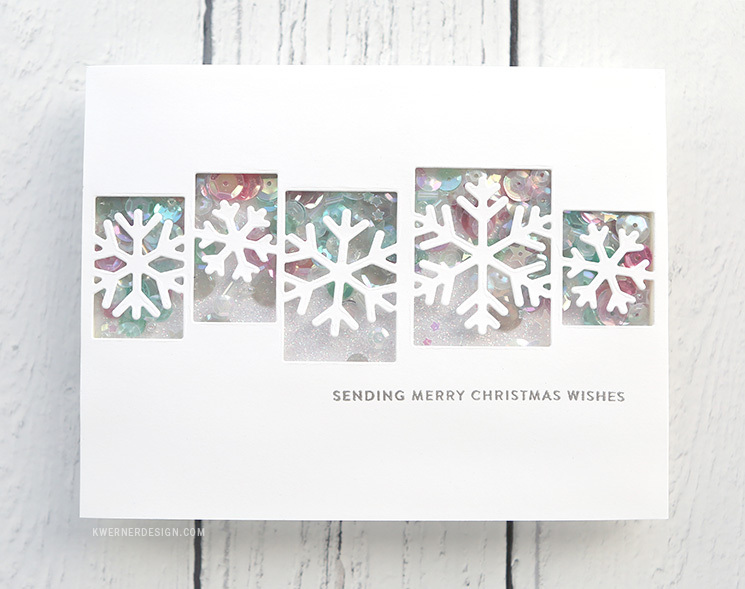 For my card, I decided to use the new Sensational Snowflake Collage die to create a couple shaker cards. Both shaker cards are easy to create, but one is slightly more complex. 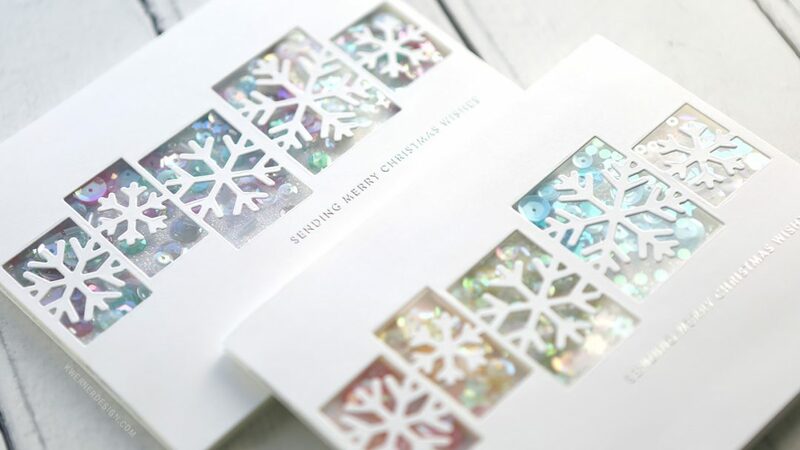 The rainbow shaker card has divisions between each “snowflake box” of the die, while the other card had one large shaker area (filled with the Enchanting sequins mix from Little Things by Lucy’s Cards). The only reason the rainbow card is slightly more complex is that it takes a bit more time creating all the individual boxes for each color. Other than that, these are super simple! (Check out the supplies at the bottom of this post for the exact sequin mixes that I used for the rainbow shaker card). To finish off the card, and to let the shaker area really be the main focus, I used a small line of text for the greeting. 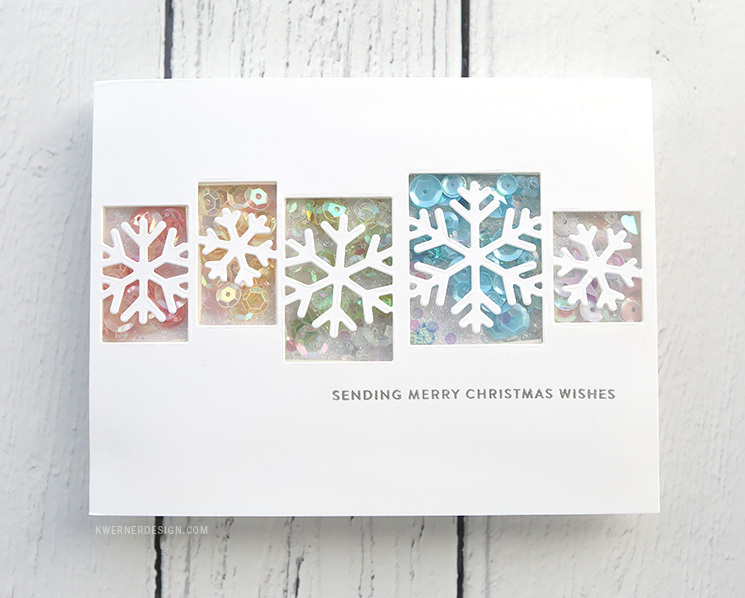 I used a greeting stamp from Simon’s Fa La La stamp set. I stamped it in VersaMark and silver embossed it with Sterling heat embossing powder from Brutus Monroe. 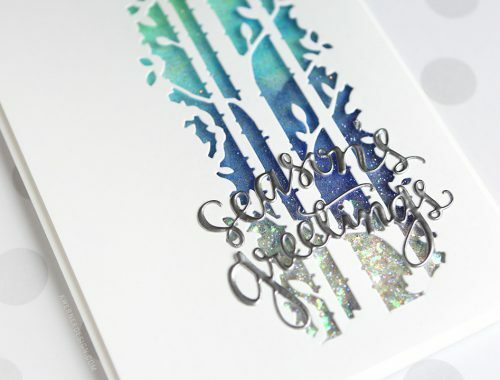 Today’s post is part of the Diecember blog hop! Not only is there even more inspiration at each stop on the hop, but Simon is giving away a $25 gift card to their shop at every stop! Just leave a comment at each blog for your chance to win. The winners will be announced on the Simon Says Stamp blog on Wednesday, December 6, 2017. Good luck! Thanks for stopping by today. Now get hopping! Your next stop on the hop is the fantastic Debby Hughes!